In order to optimize your work area, Rousseau offers workstations that are tailored to your needs. Whether you are looking for a basic work table or a cabinet under a work surface, we have many options to propose to you. There is an infinite variety of lay-outs for our workstations, both above and below the work surface. The vast range of accessories available means the number of possible configurations is unlimited. With their heavy-duty and ingenious design, our workstations will meet all of your expectations. You will appreciate their ability to satisfy your varied needs: computer station, workstation for copying keys, packaging or shipping and much more. 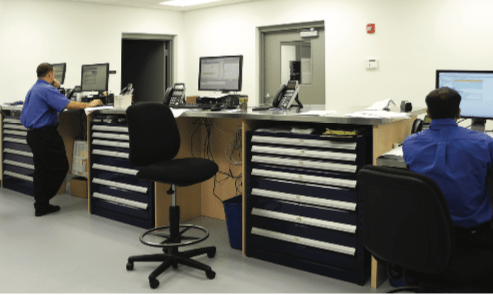 For the parts workstations product catalog, download the .PDF file below. Looking for workstation options for your business?